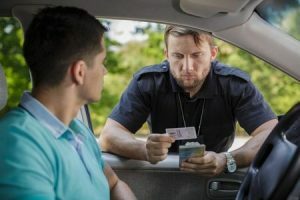 In Massachusetts, an arrest or citation for negligent or reckless operation of a motor vehicle, also known as operating a motor vehicle as to endanger, is not just a traffic ticket but a serious criminal offense. The charge alleges that you drove your vehicle in a manner that endangered the lives and safety of the public. To best protect your freedom and driving privileges, it’s necessary to obtain a criminal defense attorney who understands local driving laws in Hampshire County. The Law Office of Criminal Defense Attorney Thomas Kokonowski. prides itself on offering quality legal representation to individuals so they can get their lives back on track. Criminal Defense Attorney Thomas Kokonowski, a former prosecutor, draws from his 25 years of trial experience to launch aggressive defenses for his clients. As your legal advocate, he will work diligently to get the charges against you dismissed or reduced to a civil, non-criminal offense, either in a clerk’s hearing or a pretrial hearing. There’s nothing worse than a permanent criminal record. Call Criminal Defense Attorney Thomas Kokonowski today to schedule a free and confidential legal assessment of your case. Contact us: 413.585.9200 (Northampton) or 413.549.0022 (Amherst). What Types of Actions Result in a Negligent Operation? exercise due care or driving in a way that a reasonably prudent person would not have and creating an unnecessary danger that could have been prevented. You can be convicted regardless of whether or not you caused an accident. The main issue is whether you ignored or were indifferent to the possibility of someone being hurt. you operated a motor vehicle. you operated a motor vehicle on a “public way,” which references any place where the public has access. This can include public streets, roads, and highways, as well as parking lots. you knew or should have known that your actions would pose a grave danger of death or seriously bodily injury to others, but you chose to take the risk and operate in a negligent or reckless manner. how much potential risk you posed to the public. If you were handed a citation from a police officer, you can request a clerk magistrate hearing by checking the correct box on the back of the ticket and sending the citation to the address listed. Shortly thereafter, you should receive a summons to appear at the hearing. Criminal Defense Attorney Thomas Kokonowski can represent you at the clerk magistrate hearing and attempt to negotiate a resolution. Many times, he can prevent formal criminal charges from being issued against you and propose an alternative such as completion of a driver’s safety course. Contact the Criminal Defense Attorney Thomas Kokonowski. today to schedule a consultation to discuss your case in detail and to learn more about the legal options you have available to you.